Is your SAP data quality running on empty? You might argue that the quality of your data isn’t worth anything or you might argue that even though it is bad, it is better than no data at all. 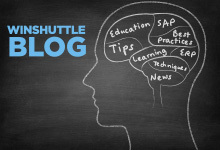 Bad data comes to mind as Winshuttle comes out of what I perceive to have been a good SAP ASUG Sapphire show in Orlando last week. All indications are that there were record attendance numbers, and certainly as a demo dolly at the Winshuttle booth, I can attest to having had quality conversations and heard interesting stories and problem descriptions. One particular prospect that I talked to described how their SAP portal solution for purchase order creation was horribly broken by a recent enhancement pack or support pack upgrade. I don’t recall exactly which it was, but the net effect was that they had had to shut the portal down to external partners and were to having to create the purchase orders manually as opposed to using a method that data loaded from a file. In addition, they had some 900 or so purchase orders sitting in limbo with broken data contents. Transactional data shouldn’t get broken very often, but of course does periodically. Orders get placed on things you no longer stock, or sales are made using old pricing, or as in this case, the data simply gets broken because the solution you use to create the transactional data is defective. Consider a multi-line order that drops the last or first order line or only creates an order with one line. These are all scenarios that you would ordinarily test out before you dive into implementing and adopting for sustained use, but sometimes you simply don’t get the chance to test all scenarios and something slips through the cracks. Though Winshuttle doesn’t position products as data management tools per se, the reality is that data management can be done with Winshuttle products, as well with a great many other tools and solutions in the market. IT would be easy to assume that data management implies MDM or Master Data Management, but this is an erroneous assumption. Data management covers the full gamut of data from Master Data through what I call referential data, to transactional data. Management processes may be inherent to the application that you use but may also be prescribed by rules and work practices outside of a computer system. 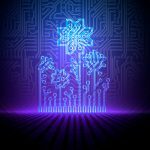 In your daily life you undoubtedly engage in a number of basic data management practices and leverage a number of tools and techniques to manage that information. Consider something as simple as the gas tank in your car (if you have a car). Your gas fuel indicator is a measure of the state of the fuel level in your vehicle. Petrol gauges, as they are often referred to in the rest of the world, have a notorious reputation for being unreliable. The reason being that when they indicate empty, your gas tank is not necessarily empty, and when they indicate full, the tank is not necessarily full. In fact some vehicles when filled up have a gauge that registers over-full, so what does that mean? As the person responsible for the vehicle, or perhaps through delegation in your household, you are the person responsible for making sure that the gas tank always contains enough fuel. However, if you’re relying on a faulty gauge how do you do this realistically? One way might be to keep track of the number of miles that you have traveled since you last filled up. Another might be having a routine that involves filling up every week or every Wednesday or something. Depending on a number of variables you can get away without precise understanding or knowledge of how much gas you actually have, but it is likely that you still rely on the gas gauge as somewhat of a measure. The gas gauge in this instance is one of the performance management tools at your disposal. Returning to your SAP data, what are some of the measures that you can consider for performance management? There isn’t an exhaustive list out there, but here are some ideas that you might want to consider for your organization. Baseline your quality standards – Understanding how much capacity your gas tank has and what sort of mileage per gallon you should expect will determine the range of mileage you can get out of a tank of gas. Likewise with your SAP data, understand the minimum that you need to get by and determine what the values should look like. If you pre-stage your data, implement and apply rules around what the data should look and feel like. Integers should be reflected as integers and simple data validation rules even in a tool like Microsoft Excel can take you some way to improving data quality. Identify key and relevant data – Window washing liquid doesn’t impact gas levels or mileage per gallon or liter of fuel but leaving the gas cap off, having a poorly tuned vehicle or using lower instead of higher octane gas can have an impact. Some data in your SAP environment is more critical than other data, this may seem obvious but in reality you cannot have a data quality management approach that claims to cover all aspects of data and data quality. 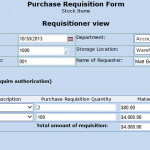 Data such as your SKU’s or Material Master are obvious however within the Material Master there may be attributes that are less important in your business than for another business. Variations of a kilogram here or there on extremely heavy items for example may not be critical when you tend to ship those in small quantities through a method that relies on a combination of mass and volume, but a lack of precision may have a significant cost impact for you in shipping if the variation is enough to push freight costs into a different class. So always consider what is really relevant to your business. Establish a quality regimen – Just as you check your fuel gauge periodically, do the same with your SAP system. Periodically extract sample data from your SAP system, check the quality of it relative to what you believe it should look like. Poll end users and check that they aren’t having to do workarounds because of incomplete or missing data and verify that you’re not breaking or hobbling some business processes as a result of incomplete, wrong or missing data. Track and report your progress – Like keeping track of average miles per gallon, keep track of how many materials you create, how many vendors you create, how many you have and how many you have to de-duplicate. Keeping track of these measures and reporting on them periodically gives you a sense of how you are performing, makes it easier to demonstrate ROI and is indicative of a commitment to data quality. Leverage tools as well as process – Remembering how many gallons your gas tank takes or what your average miles per gallon is, or the range per tank is all fine, however, this is all information that is proprietary to you. It doesn’t help other drivers of your vehicle and in the long term doesn’t help you in demonstrating a good understanding of your environment. With your SAP system it is that much more critical that you don’t guess your best methods but in fact use systematic measures and tools to create and maintain your data. Excel is a good starting point, you might step up to Access or a database as a repository but for most organizations Excel is where all the data starts. Data that you receive from suppliers or customers electronically probably comes in via this format also. You can further help yourself by suggesting to those customers and suppliers, ways to supply the data in a more structured way, incent them to use these methods rather than their own methods to ensure that you get the kind of data the way you want and need it. This can be easily done with an Excel template embedded with a Winshuttle Transaction script that relates to the SAP transaction for creating or maintaining that particular data. Your organization may also have committed to other tools for data management but many of these will accept data feeds from excel or comma separated value lists at the very least. Developing and syndicating a template will get you a long way to defining your requirements and obviating the need for cumbersome and time consuming data hygiene activities and transcription into your SAP system of record. Thinking again on the scenario I described above, I wondered how exactly they determined that something was broken in their system. Was it the first order that failed or shipped, was it a human being that detected the problem or was it the customer/vendor or was it something that they automated? Unless I have another conversation with them I guess I will never find out but it does make one wonder what kind of regression testing was done against their QA system before they implemented the changes. It also makes one wonder whether the problem is data or program related and finally, it makes one also wonder whether the issue could be painful right now but in the grand scheme of things actually an insignificant blip on the radar of operations.